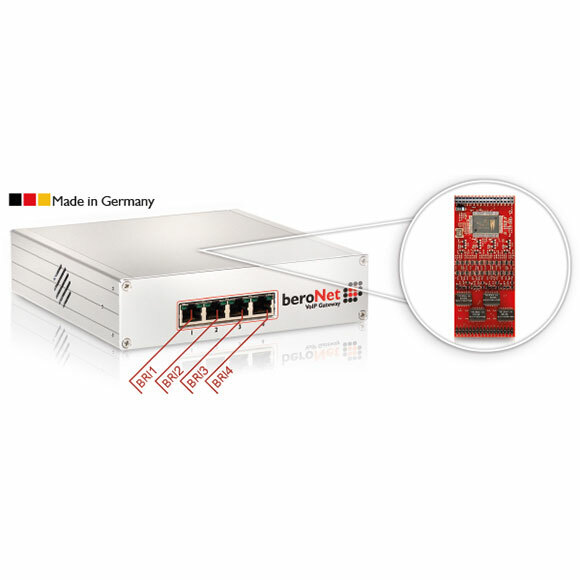 The beroNet 4 BRI VoIP Gateway (BF4004S0Box) contains 4 BRI (S0) ports. It can be connected to the public telephone network or to an internal connections of the telephone system. 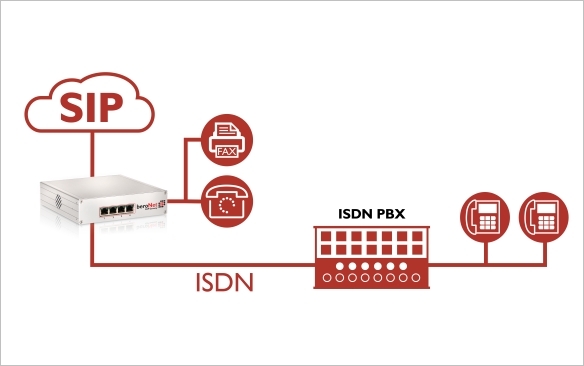 Furthermore a classic telephone system can be connected to a VoIP connection or a VoIP PBX via the 4 BRI VoIP Gateway. By adding a virtual CAPI, a Fax Server can also be connected. 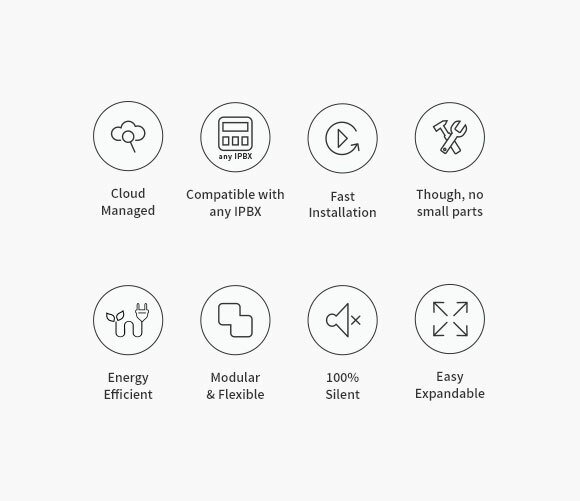 The beroNet 4 BRI VoIP Gateway is ideal to enable a PSTN connection without quality degradation joining the advantages of ISDN & VoIP.